I survived my first year of teaching! Huzzah! I’m now going to sleep, eat, drink, read, repeat. for the next 6 weeks. I recently bought two little gerbils (Harry and Aerys) so I can spend some time treating them. Aerys plotting how to burn us all. Age of Myth (The Legends of the First Empire #1) by Michael J Sullivan. A Book of Spirit and Theieves (Spirits and Thieves #1) by Morgan Rhodes. The Darkest Magic (Spirits and Thieves #2) by Morgan Rhodes. A Court of Thorns and Roses (#1) by Sarah J Maas. A Court of Mist and Fury (Court of Thorns and Roses #2) by Sarah J Maas. In addition to my current TBR pile. Have you been/done any of the things I’m planning on doing? Have you read any of my Summer book? Where should I begin?! Picture books are fantastic. A brilliant picture book should be accessible for all and should be enjoyed by the child and the adult. Here are some of my favourites that I’ve read so far this year in class. My previous post on children’s books can be found here. Cla ude is no ordinary dog – he leads an extraordinary life! When Mr and Mrs Shinyshoes set off for work, Claude decides what adventure he wants to have that day. Today he and Sir Bobblysock go to the city for the very first time. The have tea in a cafe, go shopping and visit a museum. It is all very normal until…Claude accidentally foils a robbery and becomes the local hero! Claude, the beret loving dog, and his best friend Sir Bobbly Socks go on adventures in the City, and somehow end up saving the day! We studied this book over about 5 weeks and the class loved it! It’s very funny and has lots of little jokes for adults that children may not pick up on – the strange contraption shop is a bra shop. My children loved acting out the story, making their own art gallery maps and creating their very own Claude story. 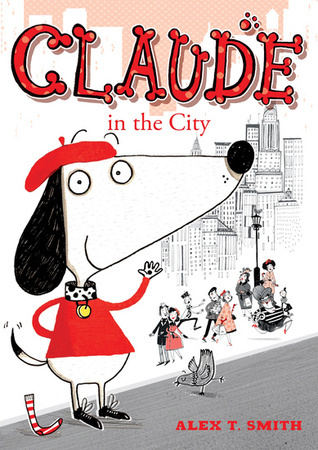 There are lots of other Claude books, which a few of my children are going out to buy! 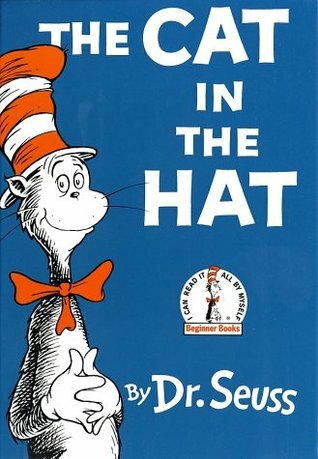 Having looked at some poetry, I begun reading my class Dr Seuss books, which they LOVED. 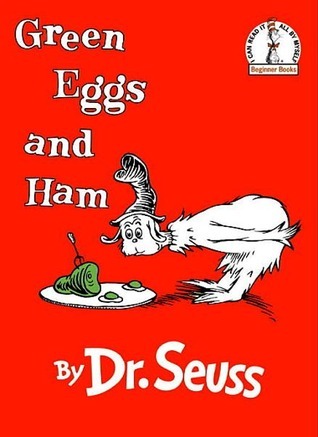 Their favourites were The Cat in the Hat, The Cat in the Hat Returns and Green Eggs and Ham. A lot of the children owned many of the books at home, so we started a little collection in class. We also read McElligot’s Pool, Mr Brown Can Moo! Can You? and Fox in Socks.I have a visualiser, so I can display it straight onto the whiteboard so the children can read along with me. As we do a lot of phonics in my class, we looked out for all the sounds we has be learning in class. They, along with other poetry books, are great for pointing out sounds that sound the same but are spelt differently (eg. fox and socks) and there were some brilliant nonsense words too.The Cat in the Hat, The Cat in the Hat Returns and Green Eggs and Ham were all about the right age for my class (5/6 year old) and they really enjoyed making predictions as they could be really elaborate. They loved guessing what the Cat was going to pull out next! McElligot’s Pool has always been one of my favourite Dr Seuss stories. They all noticed that every other page was black and white instead of in colour. There were lots of different fish, some which were really and others were bizarre. They loved coming up with their own fish and many of them decided to design their own bizarre fish in their own time. Mr Brown Can Moo! Can You? was definitely too young for my class, and would be more appropriate for nursery children. However, at the end of the week when they were all tired, they enjoyed making silly animal noises. The Lion Inside by Rachel Bright. 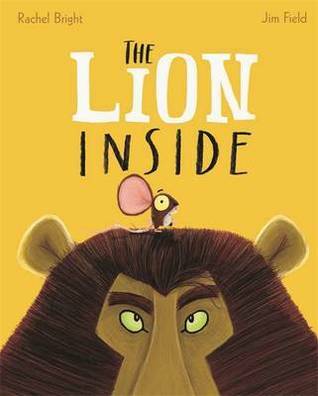 From the creator of the known and loved Bright Side lifestyle brand, Rachel Bright, and the winner of the Roald Dahl Funny Prize, Jim Field, comes a feelgood rhyming story about one little mouse trying to make himself heard and discovering along the way that even the smallest of us has the heart of a lion. Perfect for fans of Giraffes Can’t Dance this stylish book from two contemporary stars really is something to shout about – it will make you laugh, cry and read it every bedtime. This is a lovely story that no matter what you look like, everyone has strengths and weaknesses. It is about a little mouse who is tired of being small and weak, he wants to be like the popular and confident lion with the loud roar. When he finally gathers up the courage to ask the lion for help, he gives out a huge squeak of fear! The pictures are really pretty too! Wherever Jenny goes, her worries follow her – in a big blue bag. They are there when she goes swimming, when she is watching TV, and even when she is in the lavatory. Jenny decides they will have to go. But who can help her? This is quite an old book but it’s a very good one and I would definitely recommend getting. Wherever Jenny goes, she finds that her worries follow her in in a big blue bag. Initially everything is well in Jenny’s life, but then her dog gets flees and she things people are saying means things behind her back in school. She does tell her Mum or Dad and telling her brother doesn’t help. Before she knows it her bag is getting bigger and bigger and it’s starting to get in the way and make her late for school and get in trouble with her teacher. Eventually and old lady who lives near her helps her open up her bag and deal with them; getting rid of some because they are other people’s worries not hers. 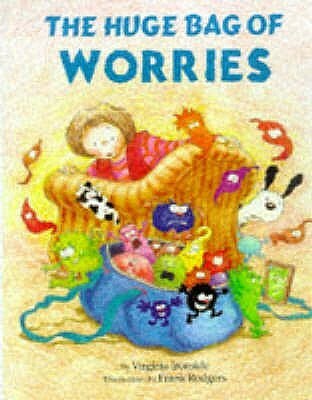 This was a great book to use in circle time to deal with our worries and the importance of talking to people and not having to drag them around. Copy Cat by Ali Pye- Highlights that it’s more fun to play with other people than on your ow, and that other people can teach you lots of fun things. Hector and Hummingbird by Nicholas John Frith – About how to deal with friends, and making sure that you have a clear communication with them and talk about how you feel instead of being mean. Millie’s Marvelous Hat by Satoshi Kitamura – A girl who has a hat that can change to whatever she thinks about. Wonderful book about imagination and could link to how everyone has different thoughts in their heads. The Book With No Pictures by B.J. Novak- a book that highlights the power of language and how it can influence what you say and how you say it. Stuck by Oliver Jeffers- about a boy who gets a kite stuck in the tree, keeps throwing lots of things up there including doors, orangutans and a boat. Eventually the kite falls down, so he walks away and leaves everything else left up there! Nice link to consequences. The Day the Crayon’s Came Home by Oliver Jeffers- great, fun examples of post cards from crayons, who once threatened to quit, asking to be rescued. Do you have any children’s books you recommend? Have you heard of the Beasts? No, not many have. That’s because they are very rare. This is the tale of one such Beast, who decides to take a dangerous quest to find others like him. Trekking over mountains and swimming across seas, he comes at last to a great city. There he finds many delights but sadly no Beasts, so he returns home, where a surprise awaits him. I did this book with my year ones for five weeks. That’s right FIVE weeks. Before christmas I had never heard of this book before, but I enjoyed doing it, and it lent itself to lots of fun activities. The Beast is all black with no face. Before even looking at the title, we had a look at the picture of the Beast in the city. When you read the book, you know that he is trying to find friends, but taken out of context it looks more sinister. 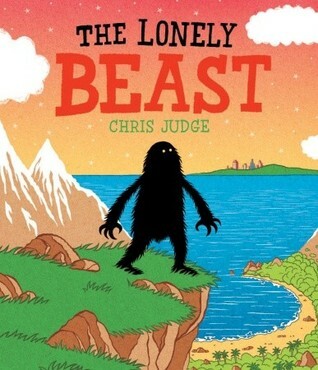 We had a look at the Beast, describing him, trying to find out what he is like, what he is doing, where he had come from. We did some freeze frames look at how people were portraying their emotions. As the Beast had no face, it was really interesting to find out why they thought what they did. We did a lot of work on story mapping the story; we acting out the different parts and then drew them. As the story is an adventure story we started in our classroom, pretending it was the Beast’s garden, then did the same travel as him all the way round the school and back to our garden in the classroom. We used our story maps to do news reports and write news papers. The news papers were fantastic! Because we had spend so much time acting out and story mapping the story, they knew it really well and were all able to sequence the story and use up-scaled language. The book also lent itself to art work. The Beast walks under water, meeting lots of different animals on the way. We pretended to be jelly fish, one of the animals he met, and then created art work based on jelly fish. We also made jelly fish poems which at the end of the year a lot of children said was their favourite piece of work. This was a really easy and effective piece of work. The children write words and phrases about jellyfish and the way they move on strips of paper. In groups (4-6) they then organised the bits of paper, adding and removing words so it flowed. They then performed their poems. In a separate session they wrote the poems up, some chose to do it as shape poems. As a book by itself, it wasn’t one of my favourites, but it lent itself to some great activities and lessons! After three years of training the day finally arrived! And now that it is over I am very happy but absolutely exhausted. I spent the last week setting up the classroom; making sure all the backing was up, labeling absolutely everything and laminating until I was sure the laminater was going to melt. My little ones came in the door; some having to be dragged, some in floods of tears, and many with so much they wanted to say that they blocked all paths. Despite putting many things out, they all piled into the book corner huddled like penguins! At least three children were falling asleep in the book corner by the end of the day, and I honestly wanted to join them. Never underestimate how tiring a group of five year old can be! If anyone else has, or had, their first day, good luck and let me know how it went!